If the thought of reviewing online courses makes you groan, you’re not alone. Typically, most classroom trainers and SMEs who are hands-on find it difficult to get used to doing reviews on storyboards and courses. In this old process, review of a storyboard meant capturing feedback in a PPT, Word doc, or Excel sheet. With multiple SMEs, this meant multiple standalone feedback documents to keep track of. With multiple reviewers, it could get even more messy if there was contradictory feedback. Sounds familiar? And for many SMEs who are not very comfortable with working on the PPT format, doing a storyboard review would probably mean taking print-outs of the PPT storyboard, adding comments to the hard copy and then sending the scanned copies to us. For the 2 reviews of the functional course (with and without audio), most SMEs would end up taking print-screens of the pages and following the steps above. A tedious process indeed. In this old process, review of a storyboard meant capturing feedback in a PPT, Word doc, or Excel sheet. With multiple SMEs, this meant multiple standalone feedback documents to keep track of. With multiple reviewers, it could get even more messy if there was contradictory feedback. Sounds familiar? And for many SMEs who are not very comfortable with working on the PPT format, doing a storyboard review would probably mean taking print-outs of the PPT storyboard, adding comments to the hard copy and then sending the scanned copies to us. For the 2 reviews of the functional course (with and without audio), most SMEs would end up taking print-screens of the pages and following the steps above. A tedious process indeed. Our revised 4-step process took the pain out of SMEs doing reviews. How? By making use of the feature of ONLINE REVIEWS. Online Access – Access anytime, anywhere access, apart from being convenient, also saves you from having to download heavy files onto your laptop. Especially useful when you want to access the course from a mobile device. 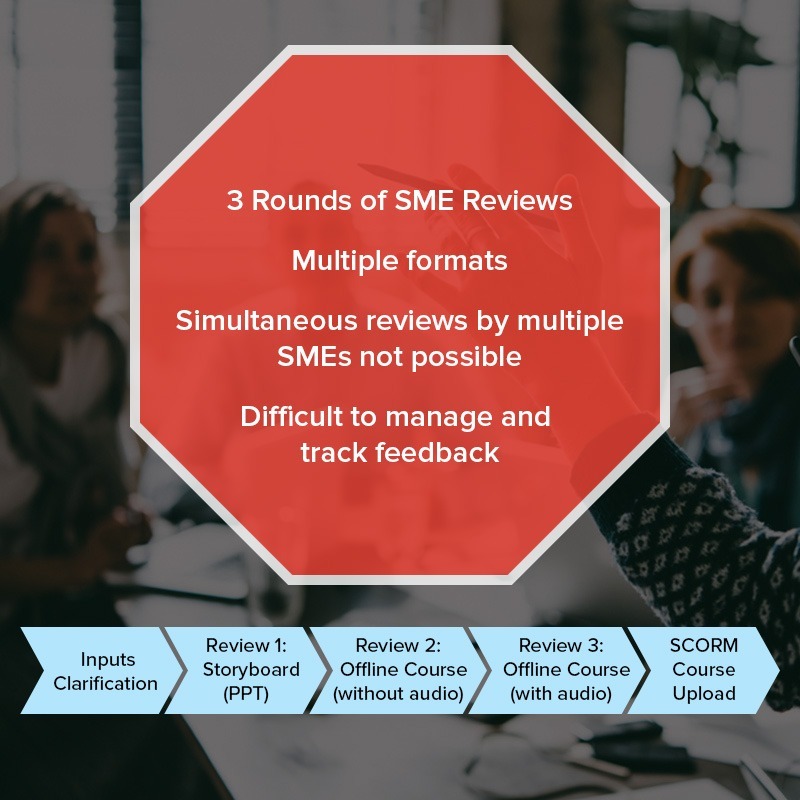 Multiple SMES – You and your colleagues can now conduct simultaneous reviews of the same course. This means that each of you can also read each other’s comments, resolve contradictions if required, so that feedback is cohesive. This saves a lot of time. Easy to Use – With the intuitive interface of the reviewing tool, online reviews are easier to handle than reviews in most other formats, including Word and PPT. Version Control No Longer a Nightmare – No more multiple standalone versions of the feedback documents going back and forth between fellow reviewers or between the reviewers and us. 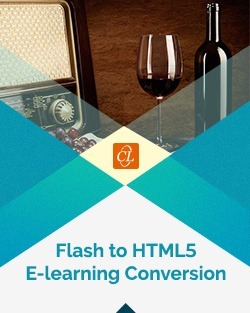 We use two tools for online reviews – Lectora ReviewLink and Articulate Storyline Review. Lectora ReviewLink can accommodate courses developed using any authoring tool, whereas Articulate’s tool can be used only for those courses developed using Articulate. Whatever be your choice of reviewing tool, it makes your life as a reviewer easier than it ever was before! We are sure that once you try this, you will actually begin to look forward to your next review.